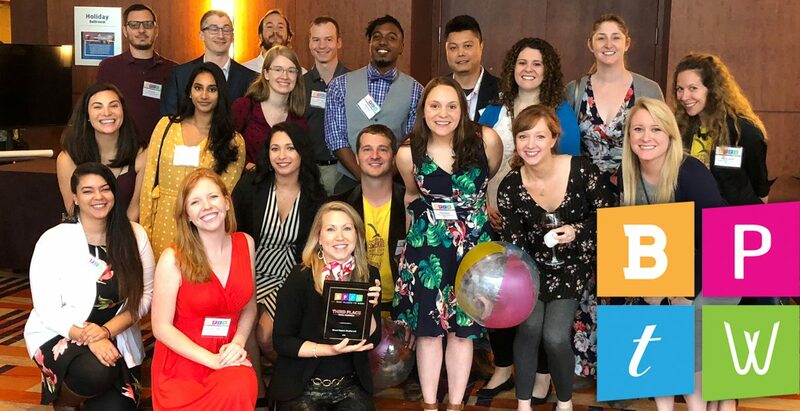 On Thursday, May 17th, Eleven Peppers Studios was awarded Third Place in the Small Business category for Baltimore Business Journal’s “Best Places to Work” competition. We are honored to be recognized among so many other talented companies in the city of Baltimore. Thank you to everyone that voted and had great things to say about Eleven Peppers Studios. We wouldn’t be here if it wasn’t for all of you! If you were pitching your company to a potential hire, what is one fun fact you would share? First place… we’re coming for you next year! 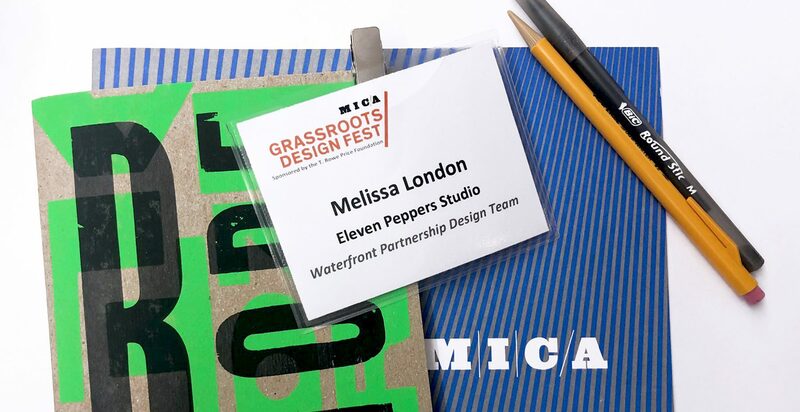 Recently, one of our Art Directors, Melissa London, participated in MICA’s first ever DesignFest after hearing how rewarding these “design-offs” could be from advertising colleagues. The event was sponsored by the T. Rowe Price Foundation and organized by MICA’s Social Design Department. 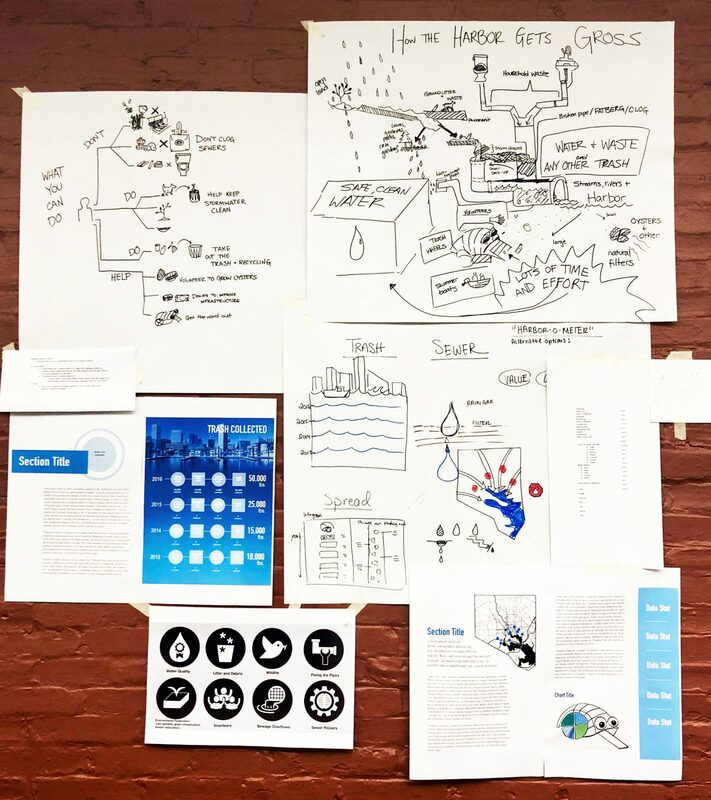 The event gave design students, thinkers, and professionals the opportunity to contribute to the social change movement in Baltimore while collaborating face-to-face with other designers and nonprofits. There were a wide array of nonprofits that needed design help such as updating logos, designing infographics, assisting with brand strategy and refreshing web pages. Melissa was paired with the Waterfront Partnership, specifically the Healthy Harbor Initiative which works with the community and downtown businesses to remove pollutants from the harbor with the (ambitious) goal of making it swimmable by 2020. Their focus for the day was improving the approach and design of their annual water quality “report card”. The intent of participating in the DesignFest was not to walk away with finished vector art but to collaborate to develop a strategy/plan and produce mockups for new creative directions. Assembled for the challenge were one MICA design student, one MICA graduate student from the Master of Business/Master of Arts program, and one design professional (Melissa – no pressure!). After the two representatives from Waterfront Partnership introduced the objective, they were left alone to brainstorm and collaborate on design directions they could take. The team accomplished a lot in the limited schedule (approximately 4.5 hours of design time). They produced a list of alternative report names, infographic concepts, outreach ideas to educate children, poster concepts, a set of icons and layout mockups for the report. This trash wheel is awesome and apparently an International sensation! Stormwater management is crucial, landscape with plants and trees to help prevent sewage overflow. Who doesn’t love oysters?!? Help restore our oyster population by oyster gardening, volunteer opportunities happen on the third Saturday of the month (September through June).